Sports Injuries Can take you out of the game, but Chiropractic Care can get you back in the line-up! Baseball, the nationwide pass time, heats up in summer. From little league on up, individuals enjoy swinging the bat and running the bases. Unfortunately, the movements baseball requires can wreak havoc on a person’s body, leaving them with sports injuries such as strained backs, hurt shoulders, and pulled muscles. According to Livestrong, there are over 600,000 injuries from playing baseball per year, and 5-14 year olds suffer from 117,000 of them. Baseball injuries frequently involve large muscles, resulting in a high degree of pain. Chiropractic treatment offers relief from severe pain of many sports injuries involving the spine, muscles, and joints. Using spinal adjustments, a chiropractor is able to help the body align itself properly, and sooth the injured area. Once the body functions normally, pain is diminished. Sometimes this can be accomplished in one visit, while other injuries require a few sessions before pain diminishes. A strained neck, pulled back, or overextended knee may cause the individual serious issues in being able to move. Limping around slowly is nobody’s idea of fun! Chiropractic care is proven to help reduce inflammation and improve mobility in many sports injury cases. If that last baseball game has you unable to put weight on your knee, your neck won’t twist without pain, or your shoulder won’t lift your arm, it may be time to visit a chiropractor for evaluation. The premise of chiropractic care is to treat the entire body as a whole, not just the injured part. As the body becomes better aligned, it functions at a higher capacity, and begins to heal itself. 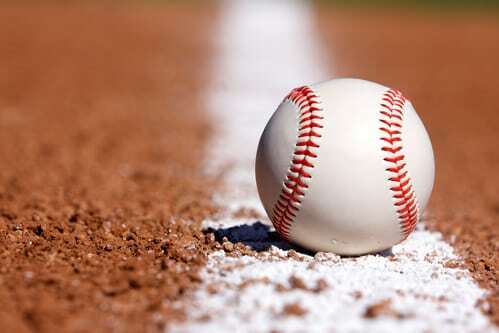 Most sports injuries resulting from playing baseball, such as tendinitis, strained muscles, torn rotator cuffs, and the like, heal faster with chiropractic care. Chiropractic care and physiotherapies increase blood flow to the injured area, and allow the injured area to heal, regenerate faster than without chiropractic care. Even over-the-counter pain and anti-inflammatory drugs cause side effects in certain individuals. Allergies, stomach issues, and other reasons result in many injured people steering clear of medication to relieve pain and inflammation. Chiropractic care provides these individuals a drug-free, less invasive way to help manage the pain and promote healing. More people every year are choosing to visit a chiropractor for pain relief instead of popping pain medicine. Before jumping into a baseball game, or even if you or your children play regularly, remember that prevention is worth its weight in gold. Take care of your body by stretching beforehand, being aware of your physical limits, maintaining proper posture, and staying hydrated during the game. With a little extra effort, the chance of a baseball or sports injury can be dramatically decreased. Summer fun often includes activities such as baseball, whether in a league or in your back yard with your family. If you or your child suffer a sports injury, such as an achy knee, twisted elbow, or smarting shoulder, call me to schedule a thorough evaluation as quickly as possible.